Texans have been in the news for all the wrong reasons, over the last week or so. Hurricane Harvey belted the Texan coast with 130 mph (209 kph) winds and delivered a deluge of biblical proportions. For some time now, Texas has been the pinup girl for American wind worshippers. With some 21,000 MW of nominal capacity spread over 40 projects, like everything in Texas, wind power is ‘big’. Except, of course, when the weather turns nasty. 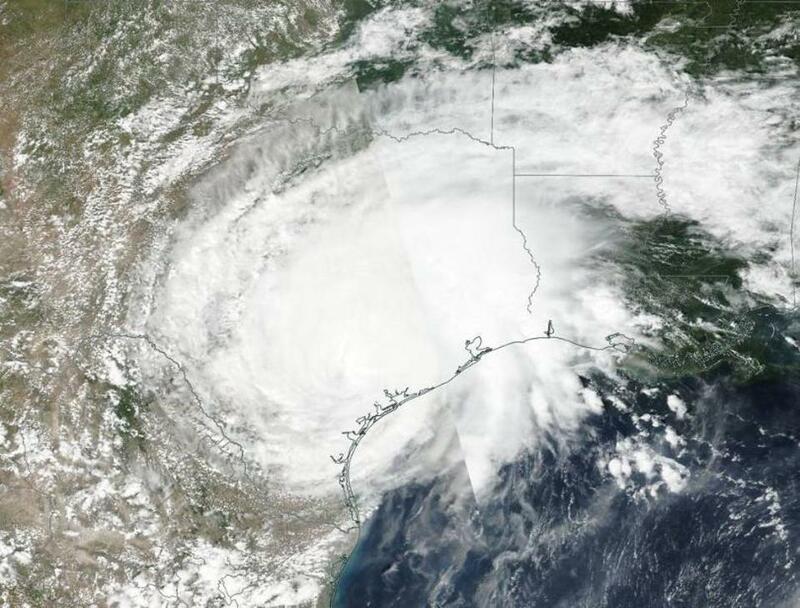 Modern industrial wind turbines do not operate when wind speeds hit around 25 m/s (90kph or 55mph) – Hurricane Harvey dished up a gale double that speed, and more. In order to prevent their catastrophic disintegration (as seen in the video below) Texas’s turbines downed tools, en masse, (as they are deliberately designed to do) leaving the critical work of providing power to storm battered Texans to its fleet of nuclear power plants.